Will the iWatch be worth waiting for? Apple's iPhone 6 event is just days away, but iFans might have to wait considerably longer than that to get the iWatch on their wrists. Yes, the Apple wearable will debut on September 9, sources agree - it just won't actually be released until 2015, according to Re/code. 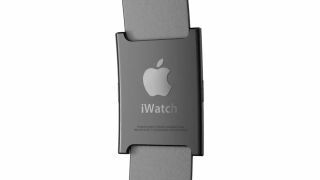 "It's not shipping anytime soon," a source "in position to know" told the site, explaining that the iWatch won't hit shelves for at least "a few months." That could put it firmly in holiday territory - albeit cutting it a little close for some Christmas shoppers - but this report says that's unlikely, and the iWatch release date will probably fall in early 2015. Google may have technically kicked off the smartwatch revolution with Android Wear, but at the same time it feels like the industry is holding its breath to see what Apple will contribute. And the Cupertino giant is taking its sweet time, which is somewhat ironic considering we're talking about watches here. In recent years Apple's phones and other gadgets have launched in the weeks after their unveilings, with pre-orders usually beginning just days afterward. But as Re/code points out, six months passed between when Apple debuted the original iPhone and when it actually went on sale. In other words you never know what this company might do.